Joyce Sherrell was born at Holland City Hospital on July 28, 1926. She was the tenth child of eleven. Both she and her younger sister were born at the original Holland Hospital. Her parents Peter and Hattie Boersema were Michigan natives from Kent County and Holland. Her mother worked for the Holland Public Schools Superintendent, Egbert E. Fell, and was paid 15 cents an hour. Her father was a pipe fitter at Heinz Pickle Factory and went on to work for Holland Hitch. He also painted houses in the evenings and owned /leased up to ten homes for extra earnings. As a young woman, Joyce took a job at Holland Hitch where she worked during WWII. In 1945, she married Fred Sherrell. Together, they had three daughters; Paulette Sherrell of Carson City, Nevada; Susan Sherrell of Grand Rapids and the late Deborah Daly. She has one granddaughter, Amber (Tom) VerBurg, and two great-grandchildren, Brandon and Jessica, who remain in Holland. Joyce was heavily involved in the organized labor union of Holland and participated in many protests across the country. She was the President of the Ottawa County Chapter of the Coalition of Labor Union Women (CLUW). 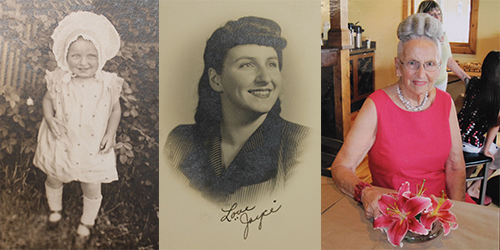 Joyce was inspired by women like Genora Dollinger, Nellie Besson Hendrix and Crystal Lee Sutton. Hendrix was a part of the Women’s Emergency Brigade and a leader of the UAW Flint Sit-Down Strike in 1936-1937. 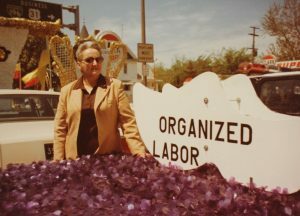 Crystal Lee Sutton (the original ‘Norma Rae’) was one of the union activists during the J. P. Stevens controversy from 1963 to 1980. Joyce invited both Hendrix and Sutton to ride a Tulip Time float on behalf of the Holland Labor Council. Hendrix participated in 1981 and Sutton in 1982. Joyce took part in many movements to follow. She fought for better wages, reasonable hours and safer working conditions for women and others. Growing up in a union family, Joyce has always been involved in unions. After working for Holland Hitch, she was employed at General Motors, General Electric and Life Savers Inc. At Life Savers Inc., Joyce was the union President. 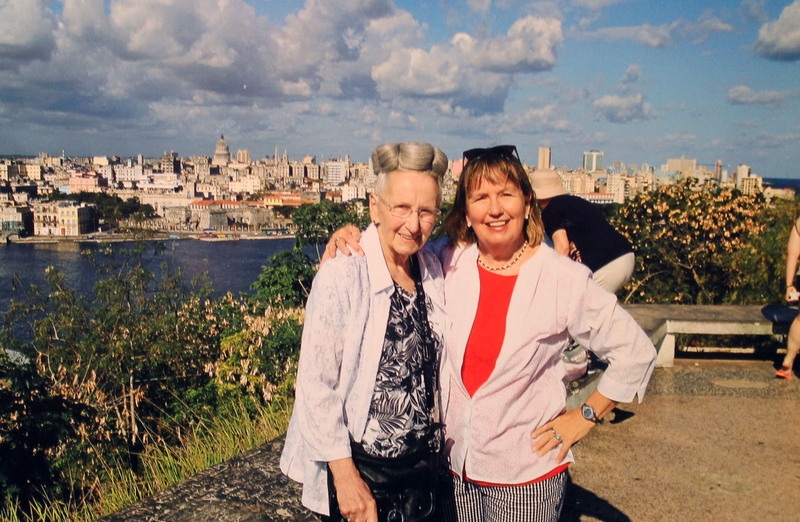 Joyce Sherrell celebrated her 90th birthday last year by taking a trip to Cuba with her daughter Paulette. Aside from some minor heart trouble, Joyce is in great health. She and a few of her friends from grade school still get together on a monthly basis for breakfast! Interestingly, one of the women, Mrs. Betty Bussies, was a nurse at Holland Hospital. Joyce has seen a lot of change in this city and this country over the years and has many more stories to vow for it. Today, she is an active member at Zion Lutheran Church and Chaplain for the Rebekah Lodge #307. The Rebekah Lodge is a group which raises funds for many causes in the communities of Ottawa and Allegan counties. Joyce truly loves to give back and is dedicated to improving the lives of others.